Local school districts continue to pay more into the State’s Foundation Program than they did in FY05, illustrating the continued shift of education funding from the state to the local level. 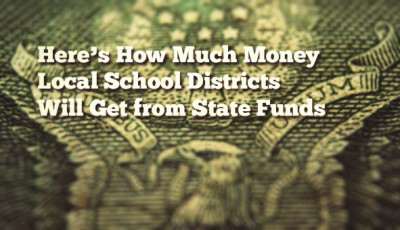 The Foundation Program is the mechanism for how local school district funding is calculated and distributed. 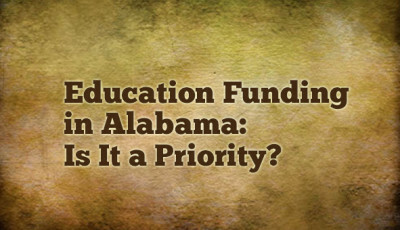 It is supposed to pay for foundational items needed to ensure an adequate level of public education is available to each K-12 student in Alabama. Through the years, the Program has struggled to be fully funded by the Alabama legislature. The state’s share of funding for the Foundation Program comes exclusively from the Education Trust Fund (ETF). Earlier this week, we published a look at how the cost of a “free” public education is being increasingly shifted toward families in the form of user fees for various aspects of their children’s schooling. The 10-mill match has grown at a higher rate than the state’s share of the Foundation Program funding since FY05. 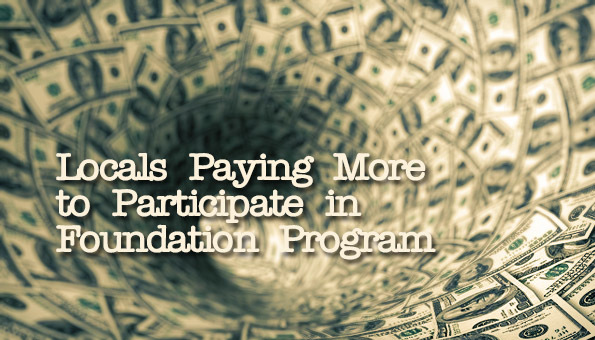 This means that local taxpayers are picking up more of the cost of the Foundation Program. Every additional dollar that the local districts “match” means fewer dollars allocated from the ETF for the Foundation Program. The picture gets even uglier when you account for the time value of money. Not only does it then become apparent that the Foundation Program is not being funded even at FY05 levels, but you can more clearly see how the proportional share of the “local match” grows. Check out the table below. It compares current dollars to real dollars. Real dollars reflect an adjust for inflation. This adjustment has been made using a 2009 base year. See the methodology section below for more information. This set of graphs lets you see the difference between current and real dollars. If you just look at current dollars, it looks like more money is being allocated for the Foundation Program. But is it? Here’s more on what is referred to as the “local chargeback” or “local match”. A district is allocated $11 million under the state Foundation program. 10 mills of property tax equals $1 million in the school district. The state will only send $10 million to the school district that year, expecting the local school board to use that 10-mill equivalent/$1 million to contribute to its own “state-funded” school expenditures. PLEASE note that the school district does NOT send any money to the ALSDE or to the legislature. It is required to symbolically put that local 10-mill equivalent into the state funding pool and use it for whatever the state has dictated. For purposes of the Foundation Program, affluence is determined solely by the value of property in a given school system’s boundaries. Regardless of the number of mills of property tax a system raises, the value of a single mill is contingent upon the value of the property in general. For instance, property in downtown Birmingham or on the waterfront is considerably more valuable than property in a rural farming area. Therefore, a mill of property tax in Birmingham or on the waterfront raises more money than a mill in the rural areas. Applying a standard formula to information gathered from county revenue offices, the value of 1.0 mill is determined for each system and then multiplied by 10 to determine the local system’s contribution to the Foundation Program. This amount is then subtracted from the amount budgeted in the Foundation Program total each year for that system. 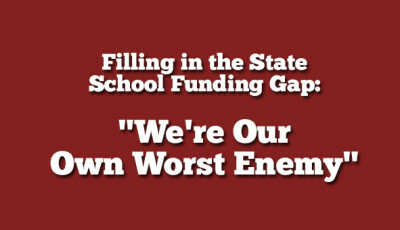 The balance is the state’s share from the ETF (Education Trust Fund). Here is a guide delineating how allocations are calculated through the Foundation Program. 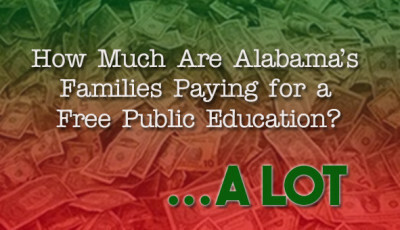 All numbers on the local match amounts were obtained from the Alabama State Department of Education. Foundation Program numbers were taken from Legislative Fiscal Office reports and the Budget Fact Books. Because the value of money changes from year to year, in order to compare apples to apples over time, the Bureau of Economic Analysis (BEA) provides various ways to deflate (or inflate), dollars taken in and spent. I used the “Implicit Price Deflator” (IPD) applicable for state and local governments for the years of comparison, FY05 to FY16. The BEA uses 2009 as the base or index year. Because no IPD has been calculated by the BEA for FY15 and FY16, I used the average of the 1st and 2nd quarter for FY15 as the value for both years. Current dollars are the actual amounts you’d find in reports and spreadsheets. After applying the IPD to the current dollars (here’s a tutorial from Khan Academy), the resulting amount is called the “real” amount. Once you have those real dollars calculated, then you are looking at apples and apples.